Union minister Smriti Irani on Sunday mocked Robert Vadra's decision to campaign for the Congress party ahead of the Lok Sabha polls 2019, says, "I would advise people to protect their land if he visits". New Delhi: Senior BJP leader Smriti Irani on Sunday advised people to ‘take care of their land’ incase Congress president Rahul Gandhi’s brother-in-law Robert Vadra visits their town or village to campaign for the upcoming Lok Sabha elections. Businessman and Congress in-charge of Uttar Pradesh (East) Priyanka Gandhi’s husband Robert Vadra on Sunday expressed his desire to campaign for the Congress party ahead of the General elections 2019. Speaking to news agency ANI, he said, “Yes. (will campaign) All over India, after the filing of nominations (by Rahul Gandhi and Sonia Gandhi)” on being asked if he will rally in support of the Grand Old Party. In a sharp dig, Union textiles minister Irani derided Robert Vadra by insinuating to an ongoing investigation against him of corruption involving land deals in Haryana and Rajasthan when Congress was in power. Recently, Irani had also addresses a press conference wherein she dragged Priyanka Gandhi Vadra into the corruption cases of land deals in Faridabad. Smriti Irani had alleged, “Gandhi (Rahul) has procured land from H.L. Pahwa through a conduit-representative Mahesh Nagar. Nagar also represented Vadra in land purchasing case under investigation in Haryana and Rajasthan,” Irani said. She said H.L. Pahwa had a similar give-and-take with Priyanka Vadra as well. According to the documents issued by BJP, Priyanka bought 5-acre land in Faridabad from Pahwa in Amipur village for Rs 15 lakh. She sold this land back to Pahwa in Rs 80 lakh in June 2009. Irani said what was also brought to light was a connection between Pahwa and Vadra in the land purchase as news reports highlight the financial inability of Pahwa to get into a financial arrangement with Gandhi-Vadra family. 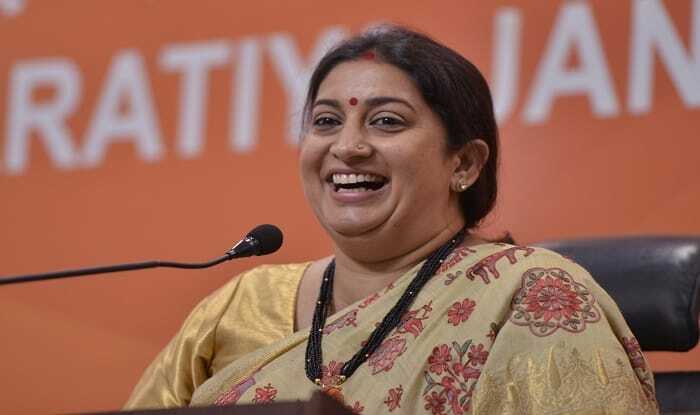 Smriti Irani is slated to contest the upcoming General elections from Uttar Pradesh’s Amethi against Rahul Gandhi.